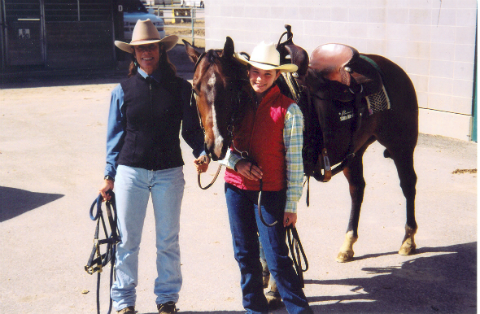 The conception of the Gold Buckle Champions was created by Sue Marostica and Corey Fagan, after working for several years as Coordinators for the Idaho Cutting Horse Association. Getting the community involved and helping other nonprofits like Toys for Tots, the Nampa Fire Department Burn Out Fund, and Ride for Joy were just a few of the pleasures of putting on these cutting events. Expanding this process to include other horse events, other communities, and our youth was a natural. If you would like to have Gold Buckle Champion help you host an event, or help plan your event in your community, or find out how you can get involved, please contact either Sue or Lisa to find out how we can help you. 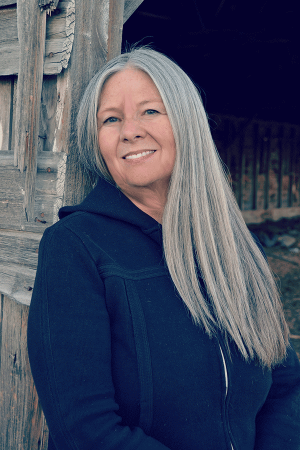 Lisa Bower, an Idaho native, currently utilizes her talents between managing support services in the food industry, volunteering for non-profit organizations and promoting her right brain activities with her art. 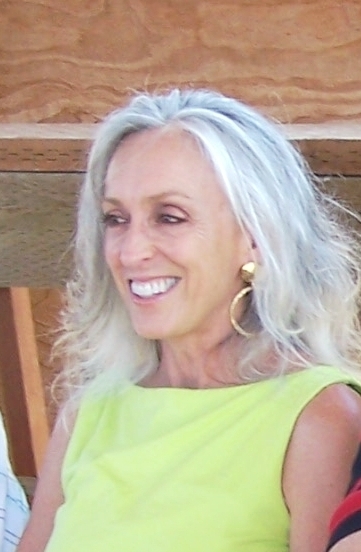 With years of experience in analysis, planning and executing new services with Fortune 100 companies, Lisa’s experience traverses multiple levels of expertise. Demanding excellence within ourselves while helping to ensure the longevity of our western heritage through educational clinics and community projects. Encouraging everyone to find the champion within themselves. When American cowboys of the 1800’s ran cattle together on open ranges, they gathered each year to separate their herds from their neighbors. This is what we call “Cutting”. Naturally, when you bring a group of people working together it turns into a competition, and equine competitions are some of the best. The Cutting and Rodeo heritages run strong and deep, and have for centuries. In the 1800’s they were also a grand social events, some say the original networking events, and nothing much from that has changed today. The ranchers gathered, there was a competition and the families shared their stories and wares from the last gathering. They revealed crafts, sold wares, exchanged recipes, but most of all, they shared laughter and ideas. They worked side by side to teach and guide their children and developed a strong community. From this we have seen many “Legends” in the equine industries that give us inspiration to keep these events going. This is the intention of Sue Marostica, Dan Hansen, Robert Borick, and Lisa Bower for the direction of Gold Buckle Champions. Gold Buckle Champion continues the tradition of teaching and guiding our children. Our focus is on developing the creativity in our children through our art programs, Art of Building a Community. Studies show that there is a correlation between art and other academic achievements. A report by Americans for the Arts states that young people who participate regularly in the arts (three hours a day on three days each week through one full year) are four times more likely to be recognized for academic achievement, to participate in a math and science fair or to win an award for writing an essay or poem than children who do not participate. In Jan 2015, Idaho ranked amongst the lowest in early education and per-pupil spending. Art has been dropped from early education and offered only at the high school level. Educators are focused on developing the academics which does not allow the brain to fully develop its greatest potential. We are confident that with our efforts we can help these kids develop both sides of their brain, to help with recall, analytics, problem-solving, and retention. Our program gathers volunteer artists to teach the principles and fundamentals of art to other volunteers. These volunteers (mainly parents) then go to the schools and teach art on a regular basis. We also offer art classes at our location at Karcher Mall for students and volunteers free of charge. All of the student art projects submitted are judged and have the opportunity to win scholarships and prizes to further their art interests and education. In the 1800’s every large ranch held a rodeo or a cutting and invited the entire community out to be involved. This was the “Art of Building a Community”. This was the original community networking celebration where everyone shared their wares, stories, and laughter, which we will experience in full force in July, downtown Nampa. All the businesses and individuals of Nampa are encouraged to show their support by displaying a decorated horse to show the strength of our community. These are not just limited to business and everyone is encouraged to participate. Gold Buckle Champion can custom decorate these horses for each business or individual for a donation to our “Legends in the Making” program, which rewards our youth and charities for doing positive things in our community. This project is offered to school age kids to decorate to win cash prizes for their classroom or group. Judging for the kids’ horses is voted on by the community and four teachers/groups in our area will win cash prizes for classroom, or trips to national competitions for teams, or cash prizes to other registered nonprofits. 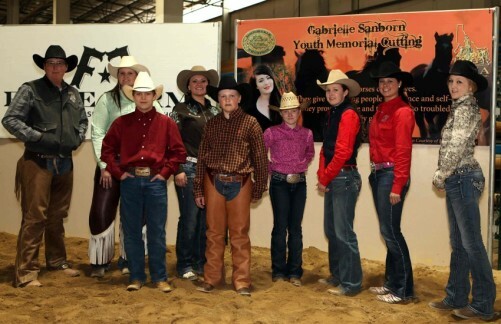 The FREE youth events during the Stampede Festival, in July, http://goldbucklechampion.com/events/snake-river-stampede-community-festival/ are funded in part by the sale of these horses. There will be prizes for participation in many events from our western heritage and a “Sucker Horse” and a Dummy Roping Contest for amazing prizes. To purchase your horse, please contact [email protected] or visit the website links above. We imagine the champion in you. The importance of encouraging our children in outdoor work with living plants is now recognized. It benefits the health, broadens the education, and gives a valuable training in industry and thrift. The great garden movement is sweeping over all America, and our present problem is to direct it and make it most profitable to the children in our schools and homes. For every aspect of our lives, we need agriculture; food, clothing, shelter, and medicine. Farming and ranching are not for the faint at heart. You battle not only the elements but endure long days of hard work. It feeds not only our bellies but our souls. Quantitative studies of growing our youth through growing food studies showed positive outcomes of school gardening initiatives in the areas of science achievement and food behavior, but they did not demonstrate that children’s environmental attitude or social behavior consistently improve with gardening. Validity and reliability issues reduced general confidence in these results. Qualitative studies documented a wider scope of desirable outcomes, including an array of positive social and environmental behaviors. It is our belief that teaching children agriculture “grounds” them literally and figuratively. The effects of learning to grow foods have many positive effects on our children in their physical and mental health. They gain self-confidence and a sense of “capableness” along with new skills and knowledge in food growing — soon-to-be-vital for the 21st-century garden-based teaching addresses different learning styles and bits of intelligence; our non-readers can blossom in the garden! The schoolyard is diversified and beautified graffiti and vandalism decrease because students respect what they feel some ownership in. Our signature event, Gold Buckle Champion’s – “Legends in the Making” challenges individuals of school age, ( 6-21) to make a difference in their community and to keep the spirit that made our forefathers and their legendary actions alive. A point system is awarded based on a criteria set by the committee to award points during a specific time period. Points accumulated will be used at a live auction to buy prizes and scholarships donated by individuals, the community, foundations, and Gold Buckle Champion. They may also contain services provided by leaders in our community, such as a day with a Veterinarian, Doctor, or Business leader. The sky is the limit when coming up with ideas on what can be auctioned off. These are all attainable goals for participating youth who are learning to become outstanding community leaders as a team or by themselves. Children without extraordinary notoriety will have as much an opportunity to gain as many points as their counterparts, sometimes more. Student Body Offices – including but not limited to schools. This can include your local FFA, 4-H, High School Rodeo, Dance, Gymnastics, etc. If in doubt, ask! Exemplary actions or ideas involving youth or the community. This can be chairing a can food drive, coat drive, Toys for Tots , etc. This list is not complete, show us what you can do! Clinics – Points for giving a clinic on a craft or art form or a way to make things safer or easier. Awards – points given for awards you have received from your church, school, or service organization. Copies of originals will be honored. Volunteer – Points given for each hour you have volunteered for a non-profit or service organization. This can also include reading to the elderly in a nursing home, paint the town, Salvation Army bell ringer, and anything you think will develop a better community. This list is not complete. Give us your ideas on how you can make a difference. Community Classes– Points given for attending classes and seminars by participating businesses. Take a class on public speaking, balancing your finances, resume writing, just to name a few to broaden your horizons and win points for doing it. Communities Choice – Additional Points will be given based on extraordinary actions by opinion of the judging committee. 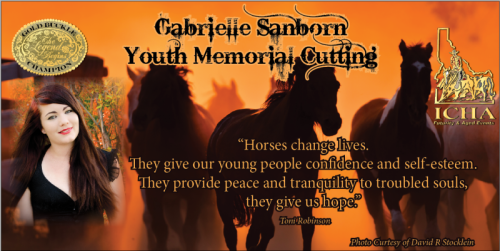 Each March we choose to honor Gabbe and the spirit of the horse that gifted her with peace and left her family with gentle memories that will linger in their hearts for a lifetime. Join us in this celebration during the ICHA Weekend Show. Gabbe was also very artistic and we choose to honor here with all of our scholarships. 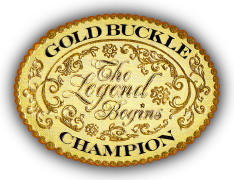 Our signature event, Gold Buckle Champion’s – “Legends in the Making” – challenges individuals of school age ( 6-21) to make a difference in their community and to keep the spirit that made our forefathers and their legendary actions alive. From art to music, cultural beliefs and customs, the generations have changed rapidly. Our forefather’s generations were more independent. They had to be since it was their responsibility to make something good out of themselves. They were not spoon fed. They had to think and do for themselves. In that time period you either took care of what needed to be done or went without… worse case scenario… died from starvation or exposure. We feel part of our decline is due to the virtual society that we live in and teaching is concentrated on the left brain hemisphere. The right brain is creativity, but it is also recall and problem-solving. Teaching to create something that children can put their name to instills pride in accomplishment. Teaching that everyone can make a difference is our direction. You are directly responsible for your success and the success of your community. The newer generations are not taught to be responsible for their actions or their successes, as with “no child left behind”. They feel like they are authorized on everything and can easily give up from doing something that requires some extra effort or concentration, but still feel they should be able to reap the rewards. They have been primed to always expect things to be done for them and it is truly affecting us on how we go about in our day-to-day activities. Our young people are growing into adults without problem-solving skills. Where will we be when no one has these skills left to pass on? Aesop’s Fable from 600 BC, The Ant and the Grasshopper, seems as appropriate today as it was then. Life is not always about living for pleasures, you must work for what you need, and you cannot expect that someone else will do the work for you. We strive to teach that we are never too old or too young to accomplish anything we desire, what really matters is if you are willing to pay the price of your goal. The horse is a valuable tool in pouring a foundation for raising our youth. Kids who are raised in the agriculture and equine sectors are seldom in trouble, they’re grounded, have a sense of self-worth, and rely on their experiences to make a difference in their community. Our 5 year goal is to develop a greenhouse with an area for charity events, art classes, and cooking classes. Our plans are to incorporate an equine facility to take in retired performance horses to use for other charities like Ride for Joy, Horses for Heroes, and for children with developmental problems. Use this form to reach out to us with a question, concern, request or just to say hi!